Gorgon City share the next instalment of their ‘Kingdom’ release with new video for ‘Impaired Vision’ featuring Tink. & Mikky Ekko. 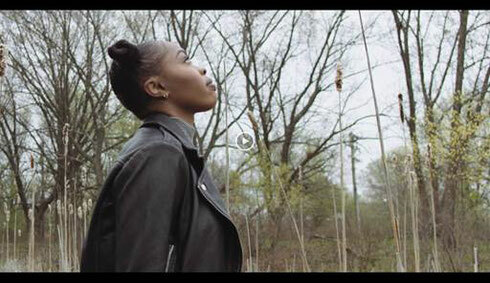 The video, filmed in Chicago, and shot by director Will Robson-Scott offers an engaging visual accompaniment to the track, providing a contrast of colour, texture and space. Impaired Vision is the third track from Gorgon City’s ‘Kingdom‘ project, featuring one of US rap’s rising stars Tink, and it was written and recorded in the duo’s London studio with vocalist Mikky Ekko. "The video’s backbone is the relationship between Tink and her grandmother. They hadn’t seen each other for a year, so for a scene in the video we made a surprise visit to her grans house and luckily we were not turned away. The song is about reliance with dark undertones and the video aims to translate that on its narrative and feel,” the director says. Picking up where the latest track ‘Blue Parrott’ left off, ‘Impaired Vision’ sees Gorgon City slow things down for a moment with a blissed-out bassline to enhance both Mikky and Tink’s accompanying vocals. On 18 May, they embark on their co-headline tour of the US with long term friends Rudimental. Kicking off in New York’s Central Park, the tour will see the duo play some of their biggest shows to date, warming them up for a summer loaded with festival slots and their own curated residency at Amnesia in Ibiza.